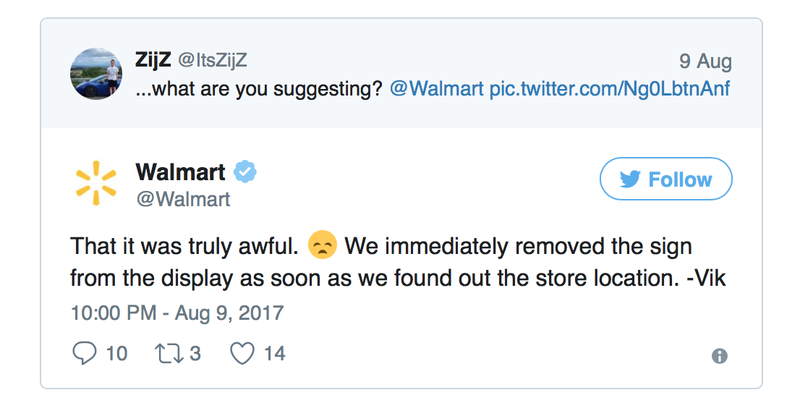 I have no words so you can read more about Walmart’s apology here. I was hoping it was fake but Snopes had been unable to misprove it at time of writing. Amazing that they thought this would be appropriate on *any* store location!